Recently, PeopleService began a mission with the city of Riverside, Iowa to provide water and wastewater management, operations and services. In addition to ongoing maintenance of the community’s mains, sewer lines and wells, PeopleService now oversees the city’s state-of-the-art reverse osmosis (RO) facility, which provides the town with clean drinking water. Enterprising readers may recognize Riverside as the future birthplace of Captain James T. Kirk. The city’s motto is “Where the Trek Begins,” and that’s appropriate since Riverside is home to the Star Trek Voyage Home Museum and the city’s annual Trek Fest. 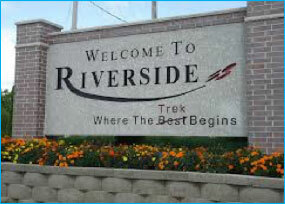 If you’re interested in learning more about how PeopleService is embracing the future of wastewater technology, contact Eastern Iowa region manager Dennis White for an out-of-this world tour of Riverside’s RO plant.